Dr Syntax at the Funeral of his Wife. Hand-coloured lithograph; 230 x 140mm; some foxing & tears to margins. Ackermann Jan. 1820. Category: Thomas Rowlandson. 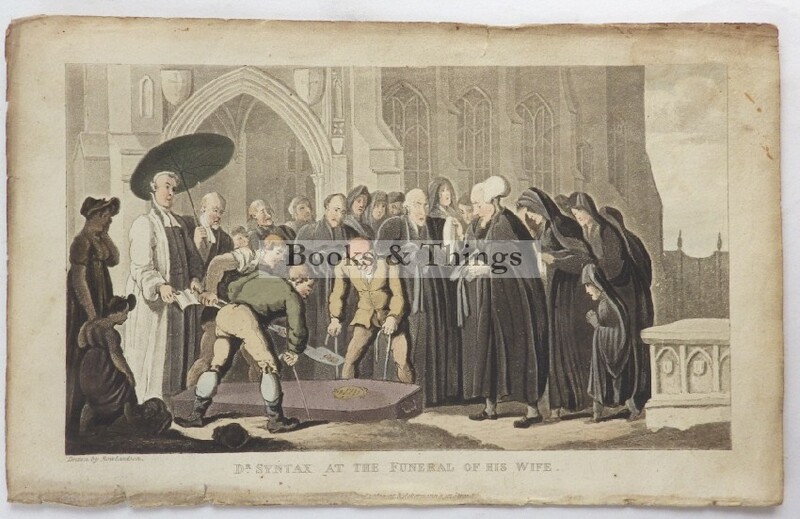 Tags: Thomas Rowlandson Dr Syntax lithograph, Thomas Rowlandson lithograph.